Another view of the Pikeville, Tennessee railroad depot. This photograph dates around 1925. 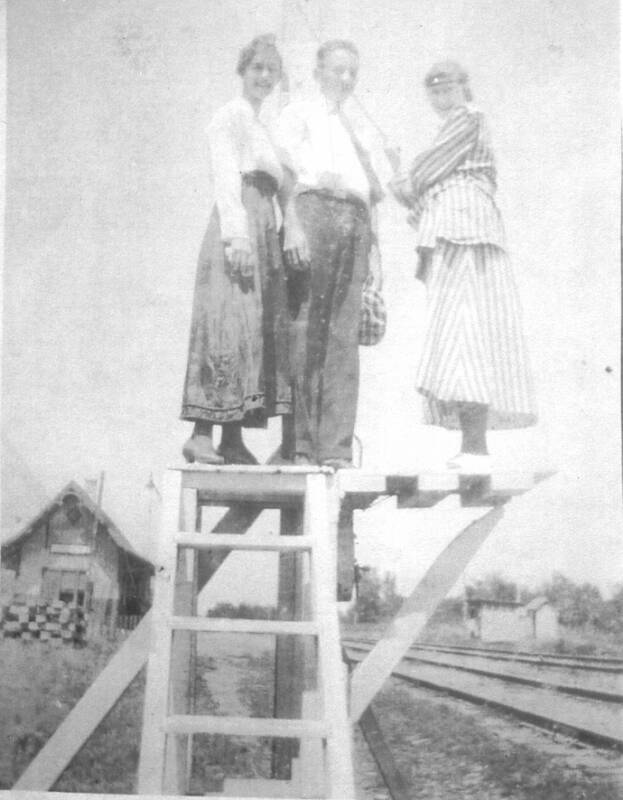 Della Wheeler, David Wheeler & Nola Wheeler are pictured above about 1920 on the switch flag tower near the Pikeville Passenger Depot on the Pikeville Branch Railroad (Sequatchie Valley Railroad). The depot can be seen in the background and in the close-up on the right. Note that this structure differs from that of the first two photos.  Two possibilities exist as to why there are two different depot buildings. 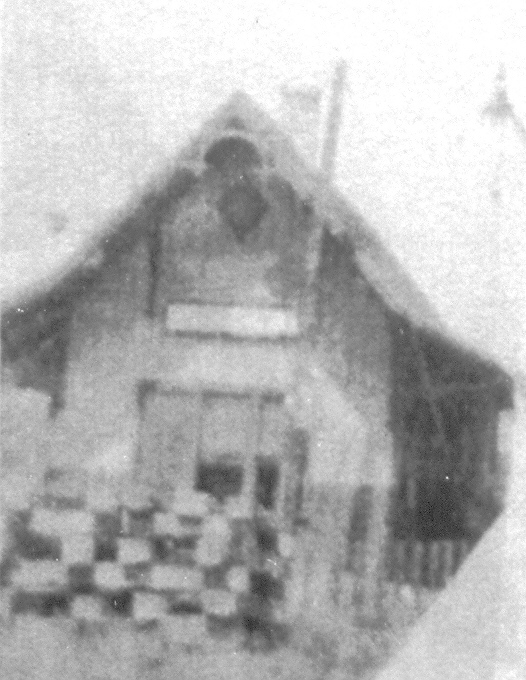 The first is that the original depot was either destroyed or razed and replaced with the depot building pictured above. 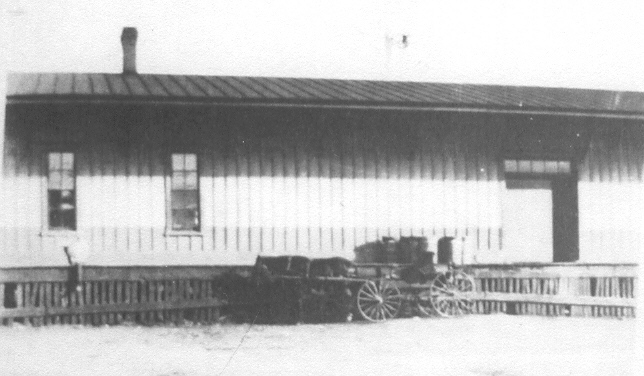 The other possibility is that the passenger depot was separated from freight department, which resulted in the building of a new passenger depot. This is what happened in South Pittsburg. 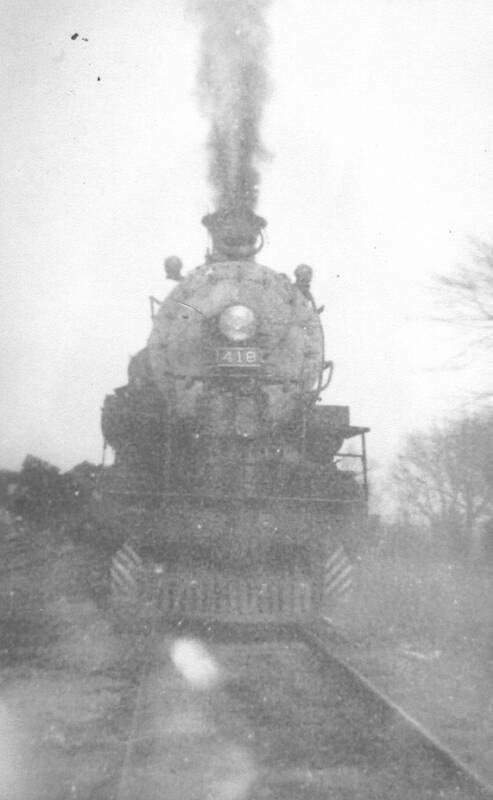 Here, around 1920, Nashville, Chattanooga & St. Louis Railway steam locomotive & tender #615 are pictured on the Pikeville Branch Railroad (Sequatchie Valley Railroad) at Pikeville, Tennessee. In this circa. 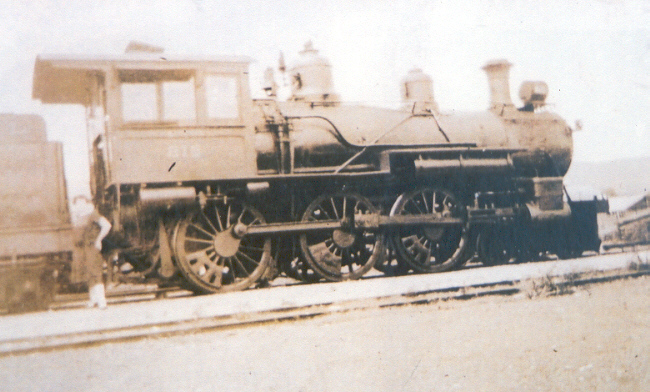 1920 photograph Nashville, Chattanooga & St. Louis Railway steam locomotive #418 is pictured with its train on the Pikeville Branch Railroad (Sequatchie Valley Railroad) at Pikeville, Tennessee. 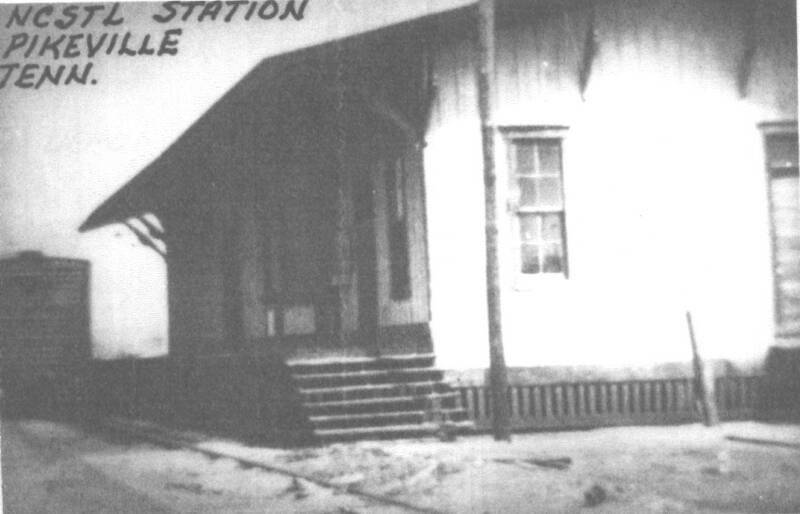 The Pikeville, Tennessee railroad depot, built in 1891, can be seen here in this photograph, which dates around 1940. 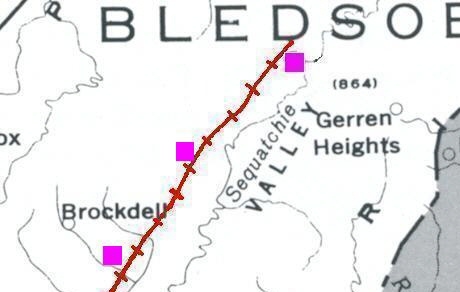 Pikeville was the terminus of the Pikeville Branch Railroad, which started at Bridgeport, Alabama some sixty miles south.